Massive congratulations to Ellie Downie, who has been named BBC Young Sports Personality of the Year. 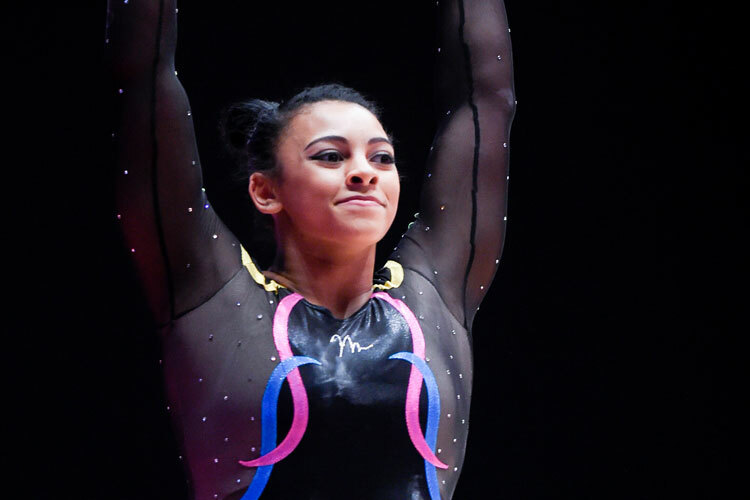 The 16-year-old gymnast won bronze in the all-around at the European Championships to make her the first female gymnast to win an individual all-around medal for Great Britain. She was also part of the bronze medal winning GB team at the 2015 World Gymnastics Championships in Glasgow with older sister Becky. Ellie was presented the award in front of a sell-out 7,500 crowd at the SSE Arena in Belfast and was screened live on BBC One on Sunday 20th December.